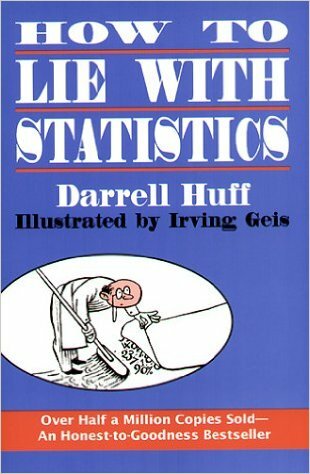 April’s Book of the Month is How To Lie With Statistics by Darrell Huff. Norton reissued this 1954 book in 1993, and this edition is available on Kindle. There is a 1991 Penguin edition and it has been translated into many languages. This book may be over 60 years old, (and therefore the examples are dated), and statistics has certainly moved on since it was first published, but the volume remains a best-seller and is a humorously illustrated light introduction to many key ideas in statistics. It informs us about statistics through showing how statistical analyses can be used to fool and create misunderstanding.